Judith Prevatte Griggs, age 79 of Laurinburg departed this earth to her eternal Heavenly home, after fighting a courageous battle with brain cancer on Wednesday, October 24, 2018 in Morrison Manor. Judith was born August 19, 1939 in ­­­­Marlboro County, SC, a loving daughter of the late Cole Blease Prevatte and Miriam Weatherly Prevatte. 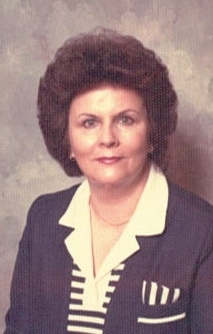 Judith worked many years as an administrative Judge for Rock Hill, South Carolina and went on to retire from Spartanburg County Sheriff’s Department. Judith’s legacy left behind is what came first in her life, God, family and friends. If there was someone in need, she was the first one to volunteer to help. She truly demonstrated the gift of giving, never asking for anything in return. Material things meant nothing to her. She always put her family’s needs and wants before her own. She loved to keep her daughter’s dog “Jubilee” before her passing in 2017. Jubilee was her saving grace in 2003 when she warned Judith of a robbery at her store. Her greatest joy was spending time with her family. She was a dedicated wife, mother, sister, grandmother and friend who will truly be missed by all. Along with her parents, she is preceded in death by her younger brother, Garry Lynn Prevatte. Judith leaves behind her husband of 46 years, James P. Griggs of the home; daughter, Elinda N. Turner (Mike) of Lauringburg; sister, Jolinda Creech (Tommy) of Cheraw, SC; grandson, Michael Brandon Turner of Laurinburg; step grandson, Gentry Blake Turner (Tabitha) and two step great grandchildren, all of Wilmington and a host of nieces, nephews, great nieces and nephews. The family will have a time of visitation from 6:00 until 8:00 p.m. on Friday, October 26, 2018 at Richard Boles Funeral Service. A private memorial service will be held at a later date. In lieu of flowers, memorials are requested to be given to Paws and Claws, P.O. Box 386, Chesterfield, SC 29709.